In areas which require an interlock control system but where the door terminals don’t have to meet extremely high requirements regarding the suitability for clean rooms, the components of the door terminals can also be integrated in the switch series LS 990 of the company Jung. If necessary, this interlock control system also allows to integrate components of the peripheral or central system. In this case a central controller RJ or a distribution box of the peripheral system are connected to the SK central controller. The structure of the version for the switch boxes SP is similar to the one of the ex-proof interlock control system. All control boards are located in the central controller. The individual components of the “door terminals” and the locking devices as bar magnets or electric strikes are connected directly in the SK central controller. The necessary wiring and the electrical connection have to be effected on site by the customer. This offers the highest possible flexibility of the system. The power pack supplying the power is ready for plug-in. Its safety plug is plugged in a socket on site. In the SK central controller is provided a socket for the power cable of the power pack. 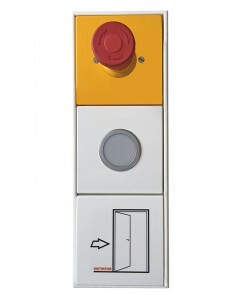 The operating key, the LED light for indicating the door status and, if necessary, the emergency-open switch are inserted in the switch box/pattress series LS 990 for flush fitting of the company Jung. 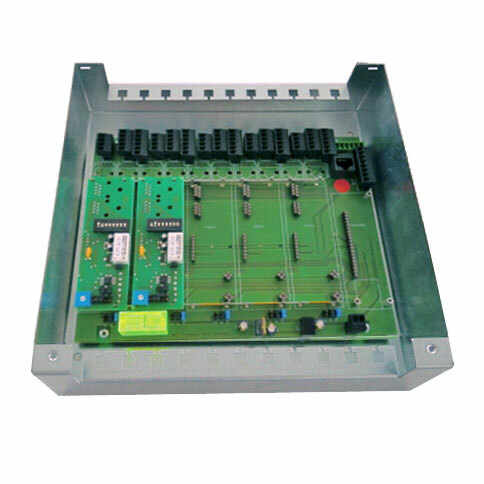 Depending on the project single frames or frames for up to 5 switches can be used. They are individually combined per door. 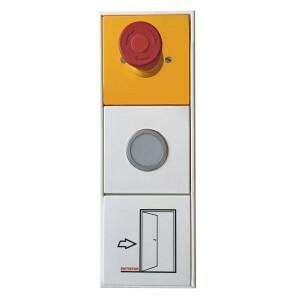 Components are the Jung switch series LS 990, a switch for releasing the door, an emergency-open switch on a yellow faceplate and a light sign fitted in a faceplate. It is also possible to connect components of other manufacturers (e.g. emergency exit terminals and electric strikes). Connection diagrams can be found in the manual or are available on request.